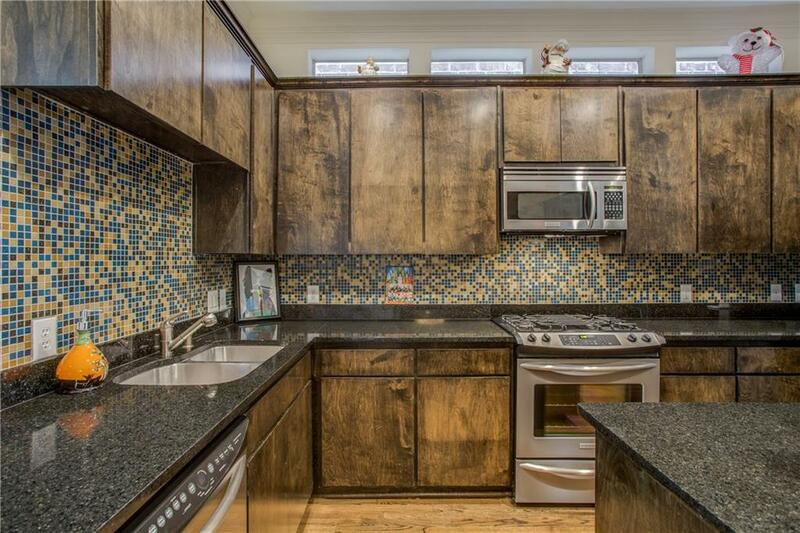 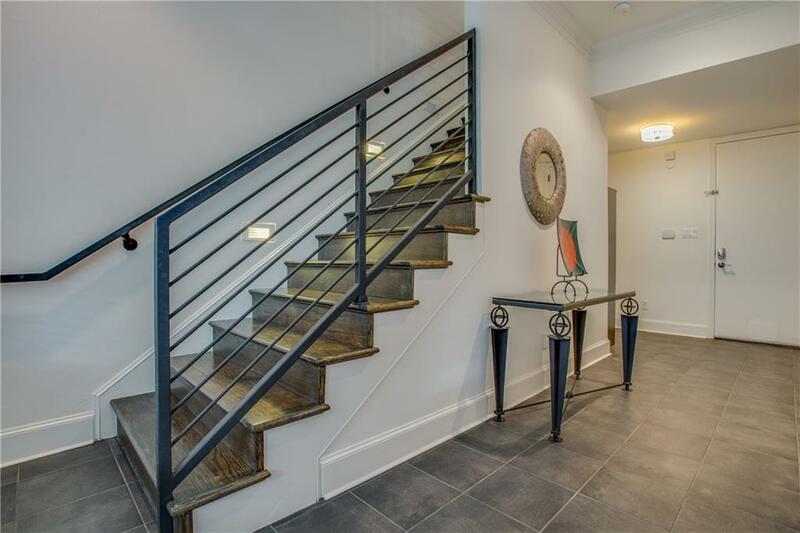 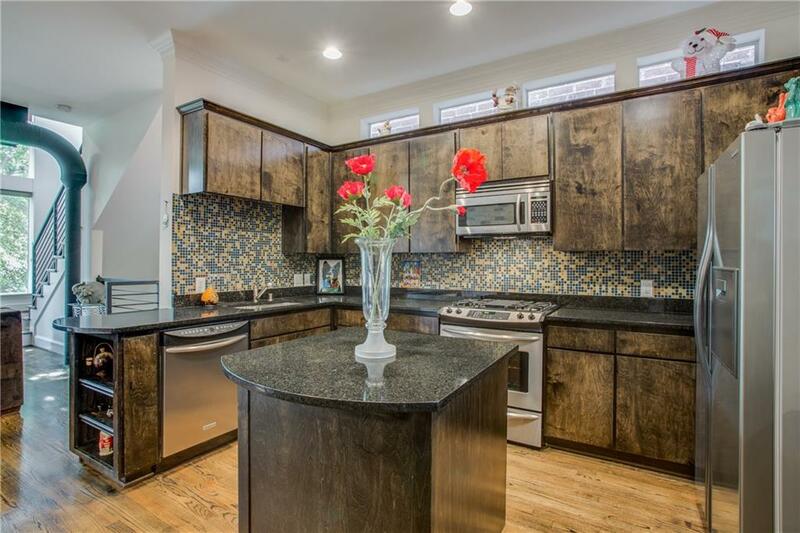 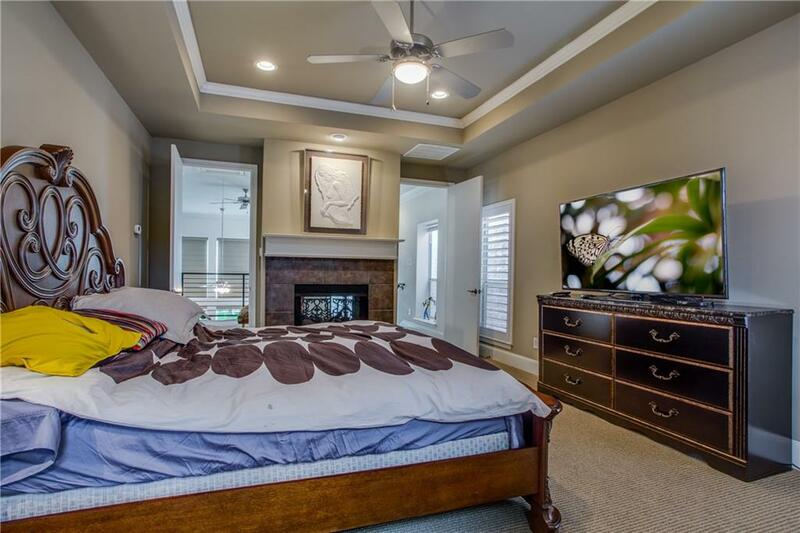 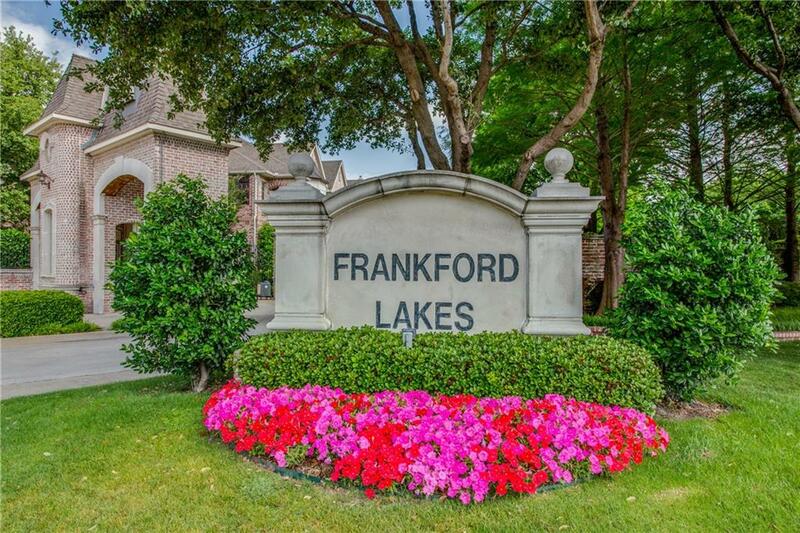 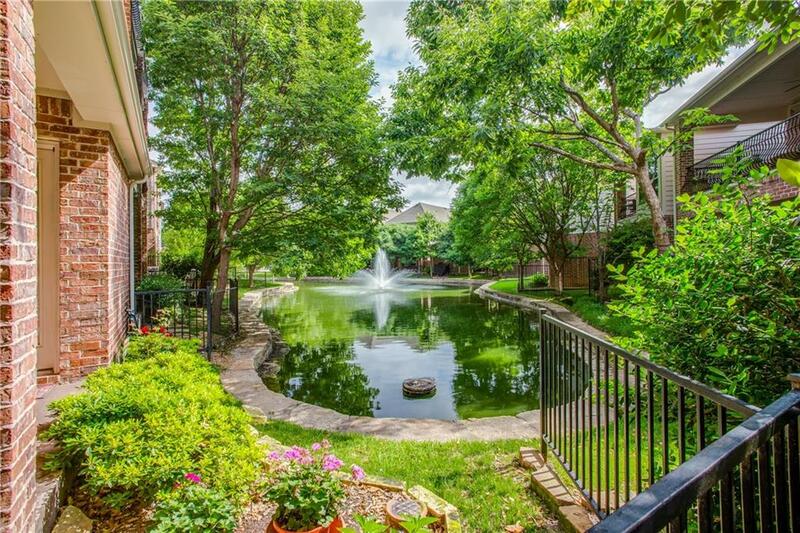 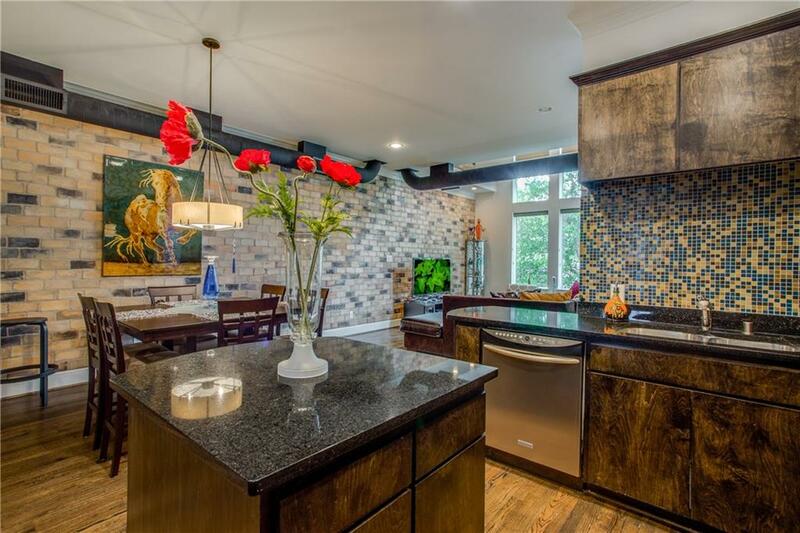 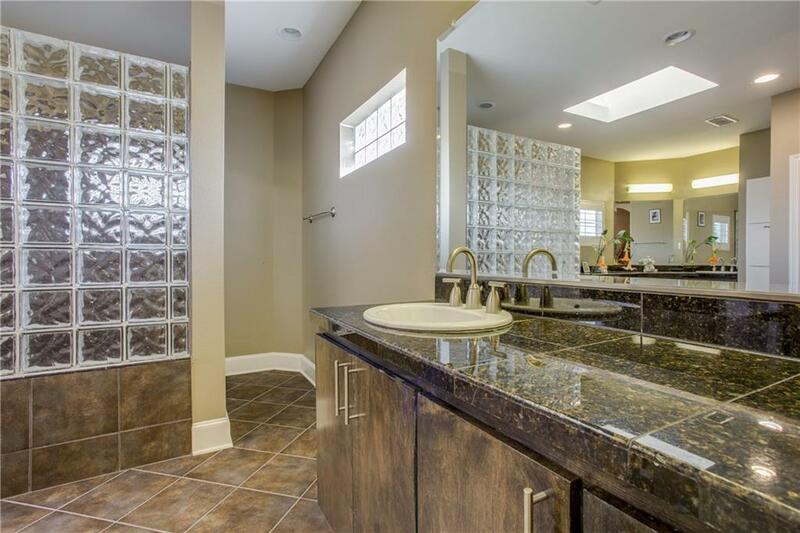 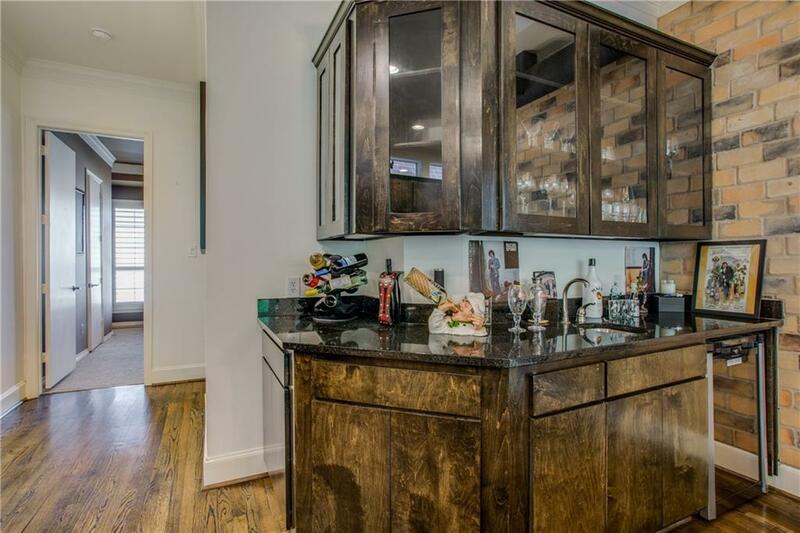 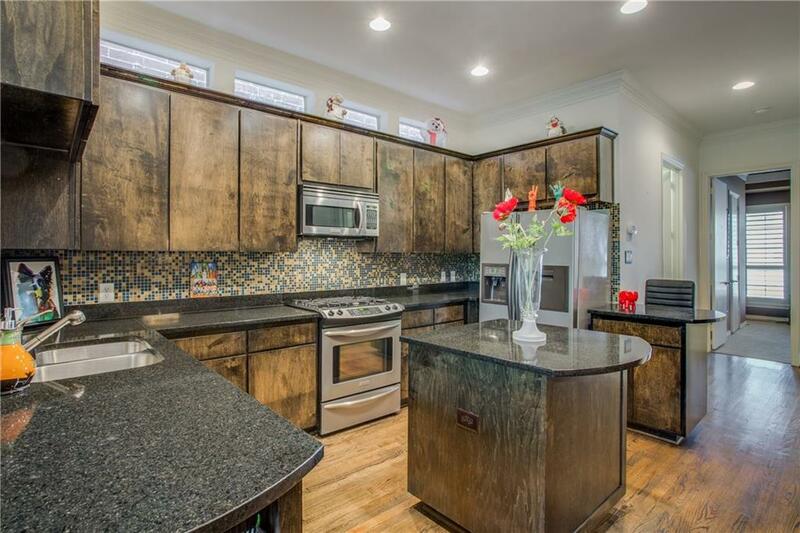 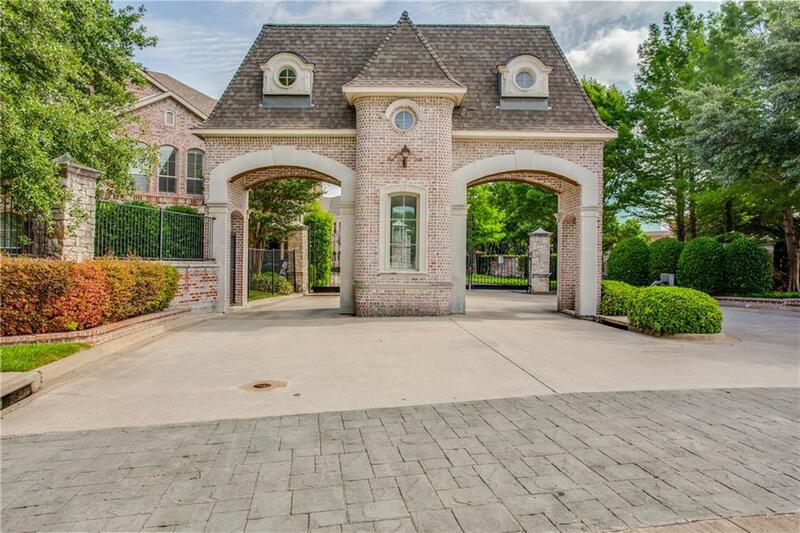 Stunning, open 3 level home in gated Frankford Lake Addition in Plano ISD. 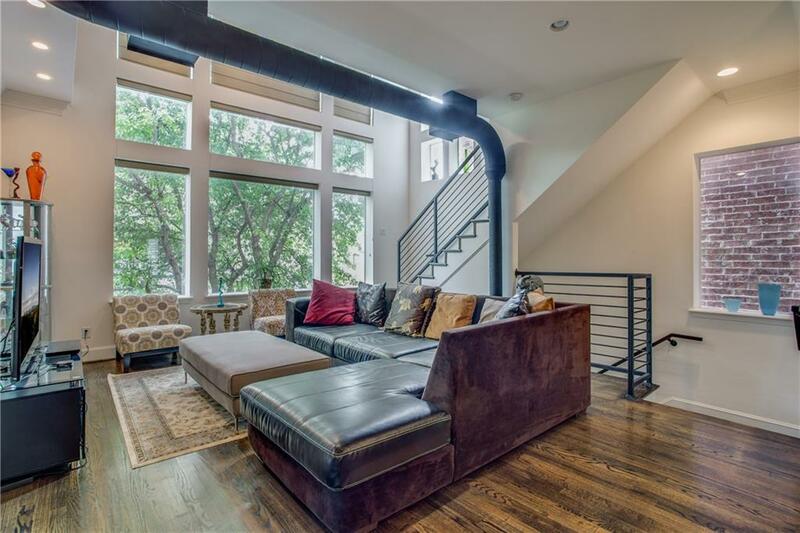 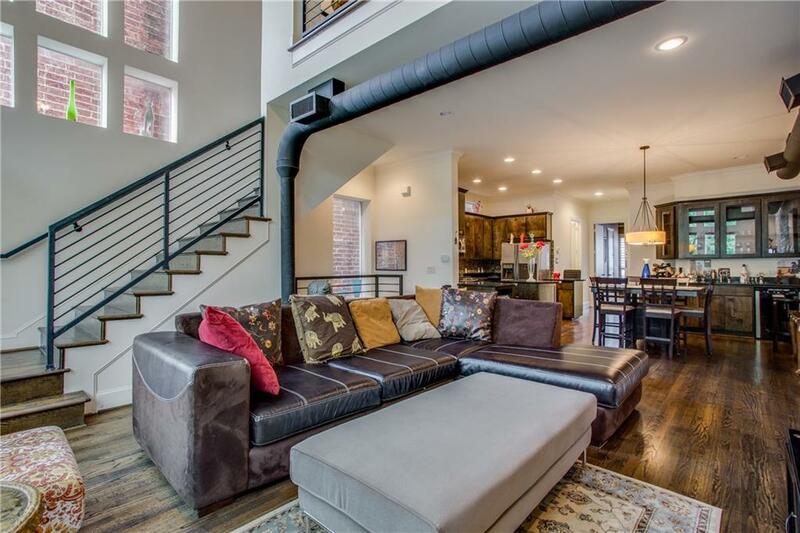 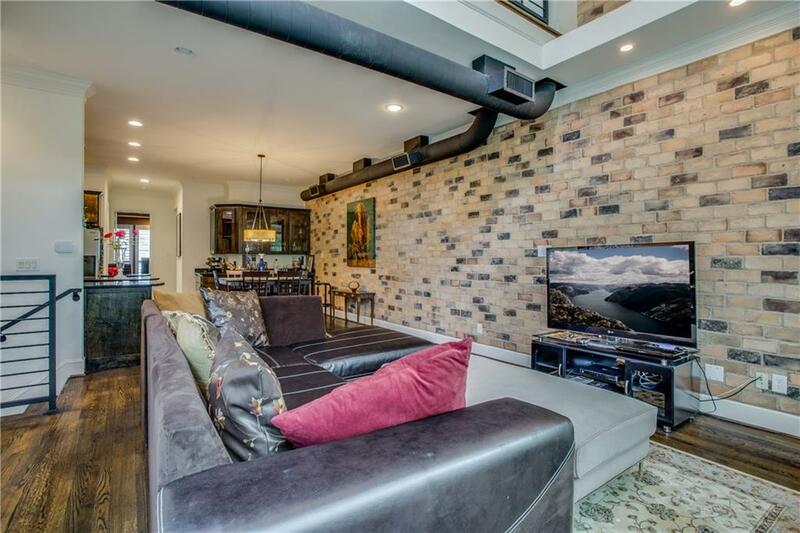 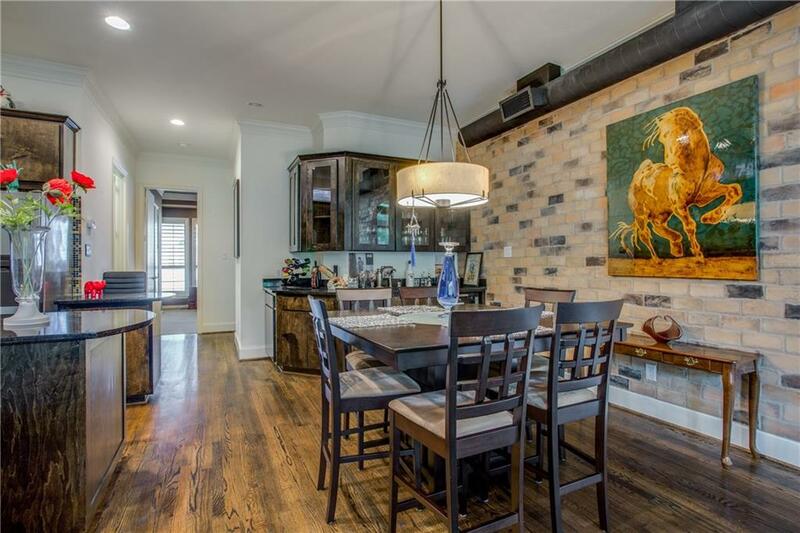 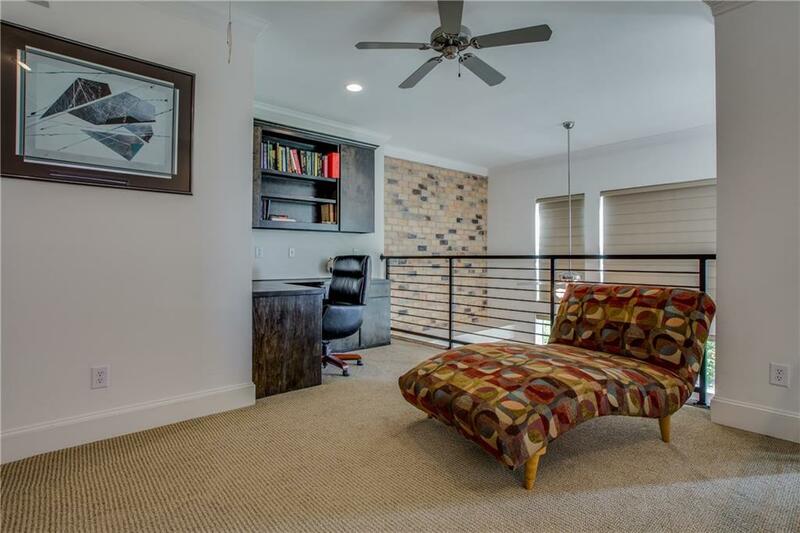 You'll love the floor to ceiling windows & exposed brick in the living area, open to the dining & kitchen complete w contemporary finishes, wood floors, granite, stainless appliances & built in wet bar perfect for entertaining! 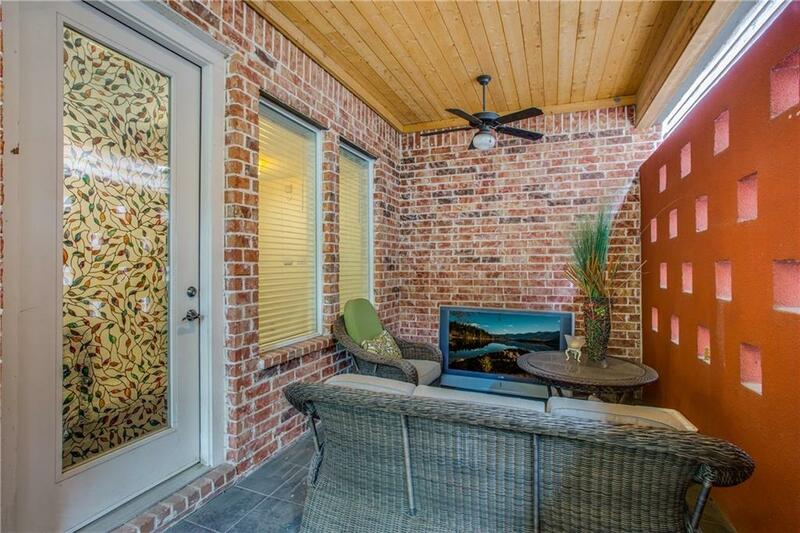 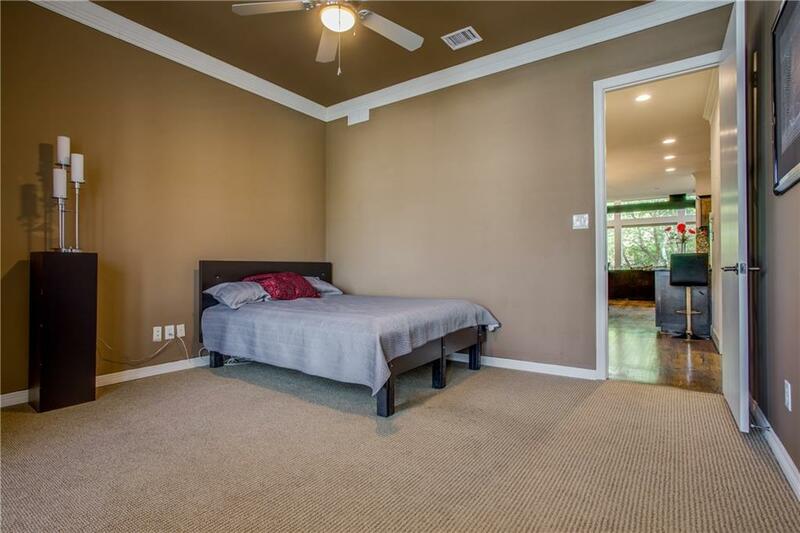 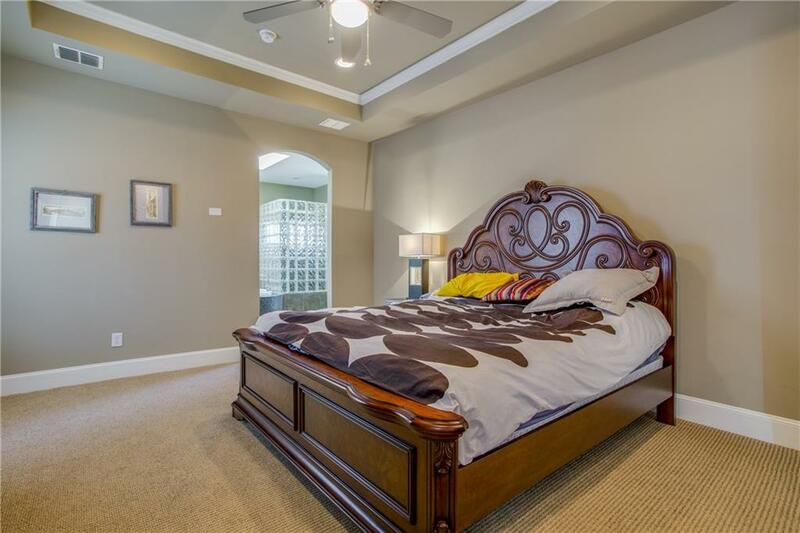 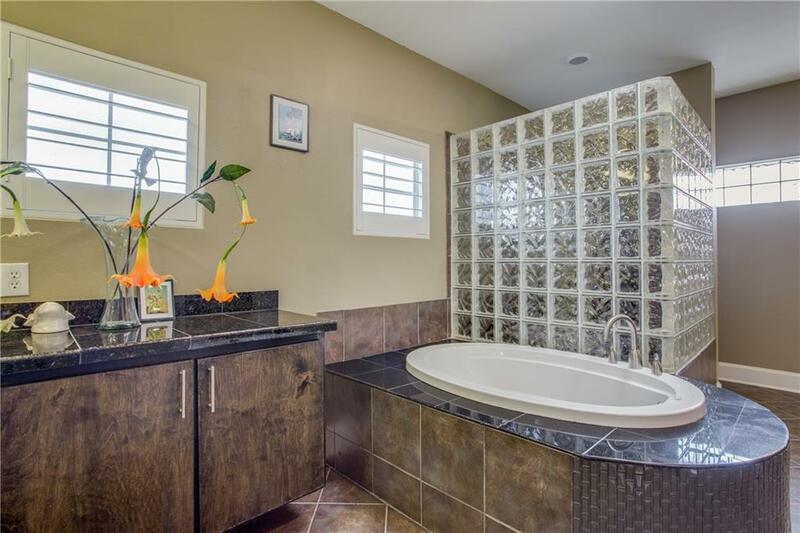 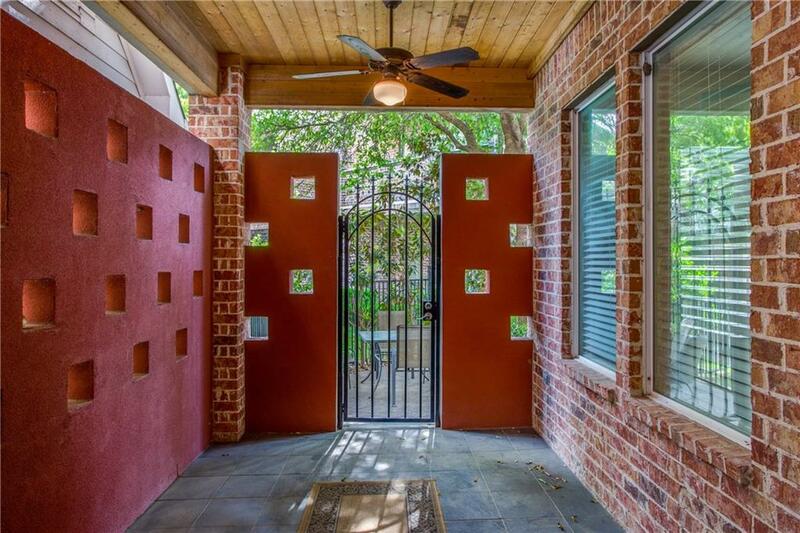 Spacious guest bdrm, plantation shutters, crown molding, bath w custom tile shower. 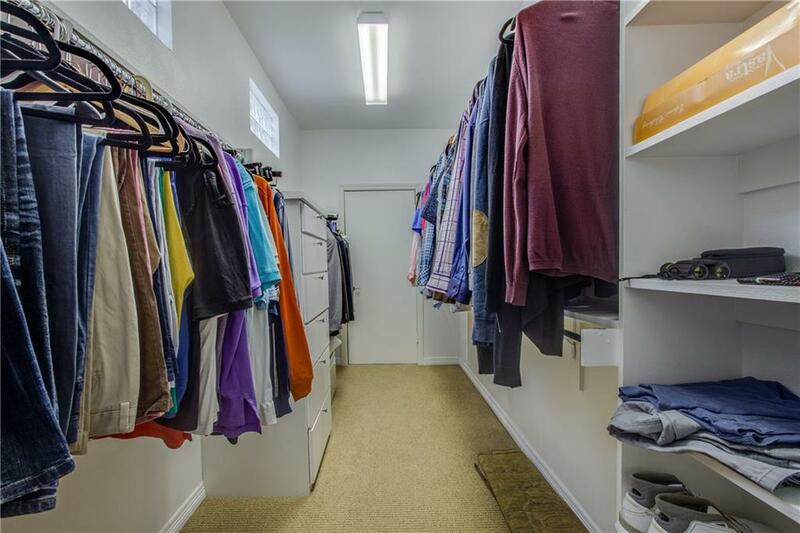 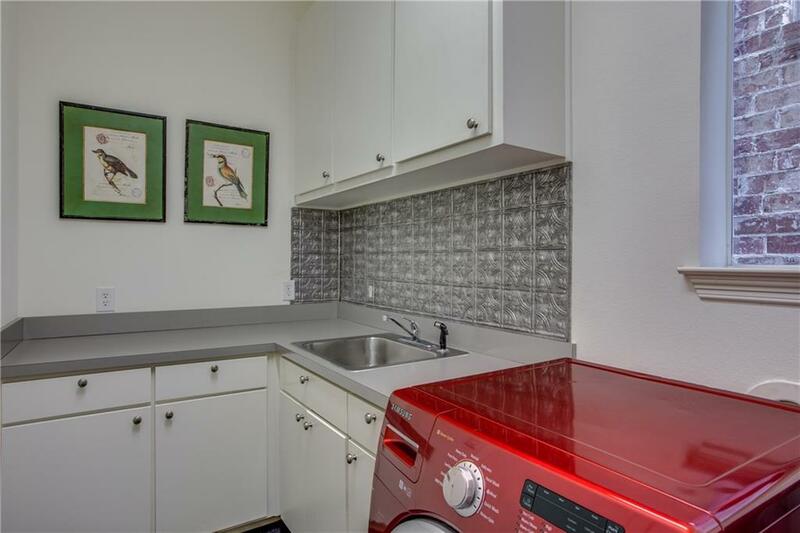 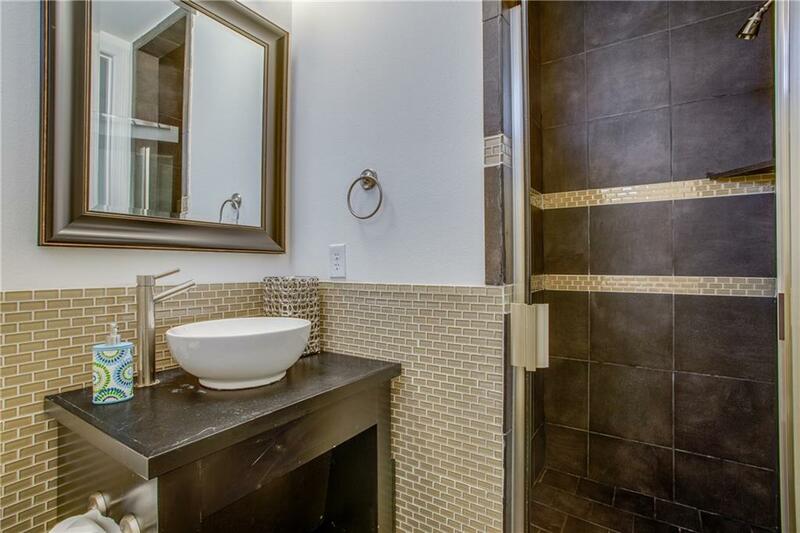 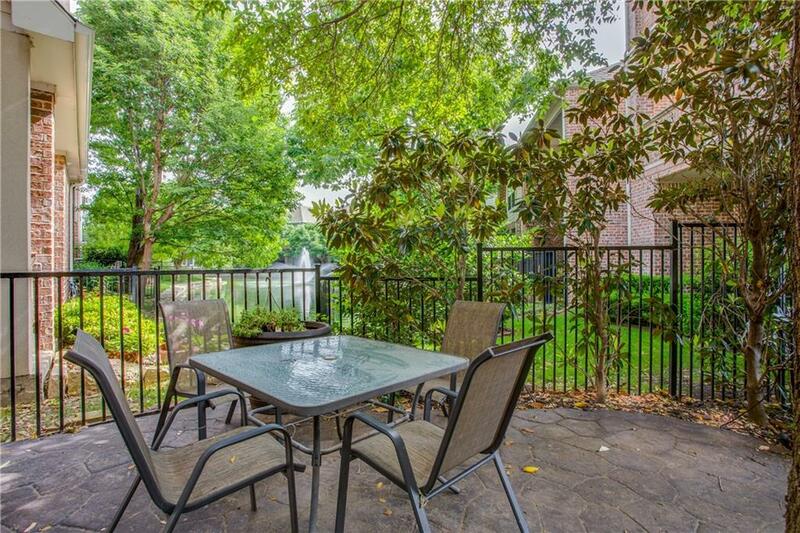 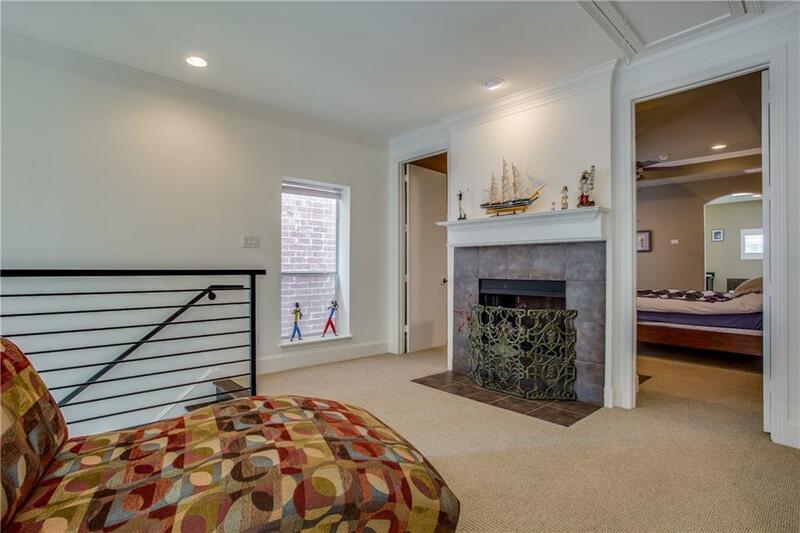 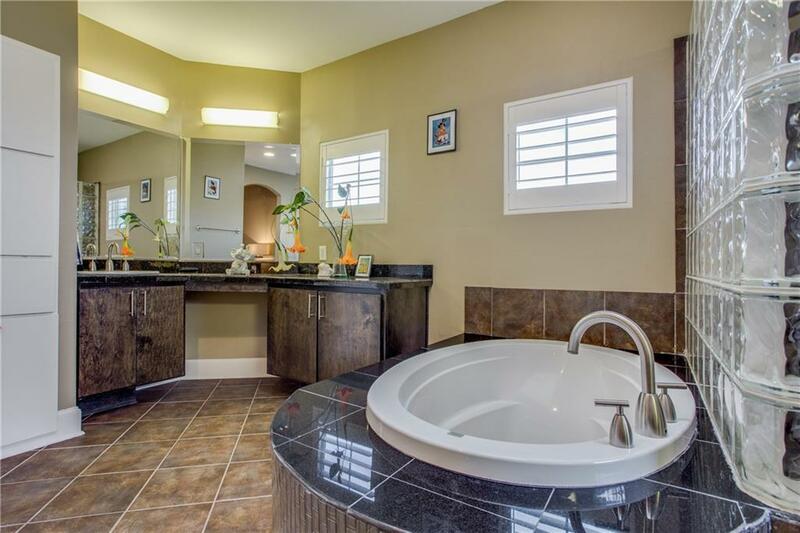 Mstr suite w fireplace, garden tub, glass block walk in shower, split vanities & plenty of storage. 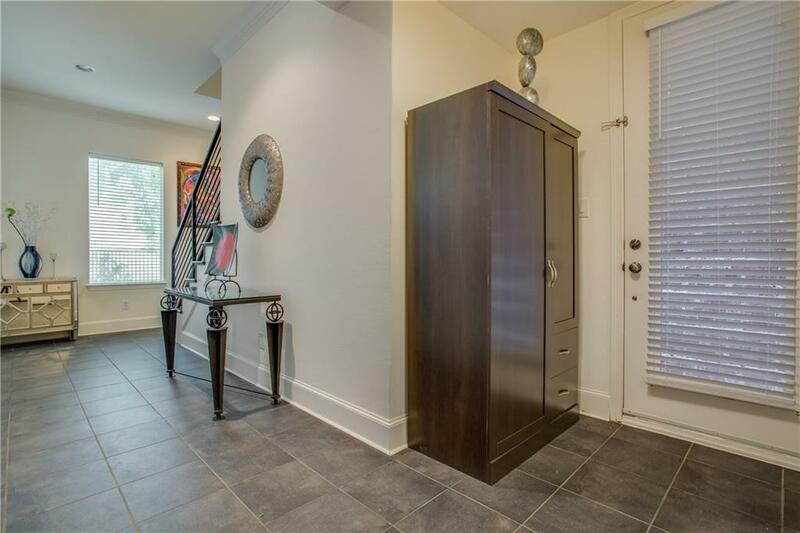 3rd floor office w built in desk & cabinets. 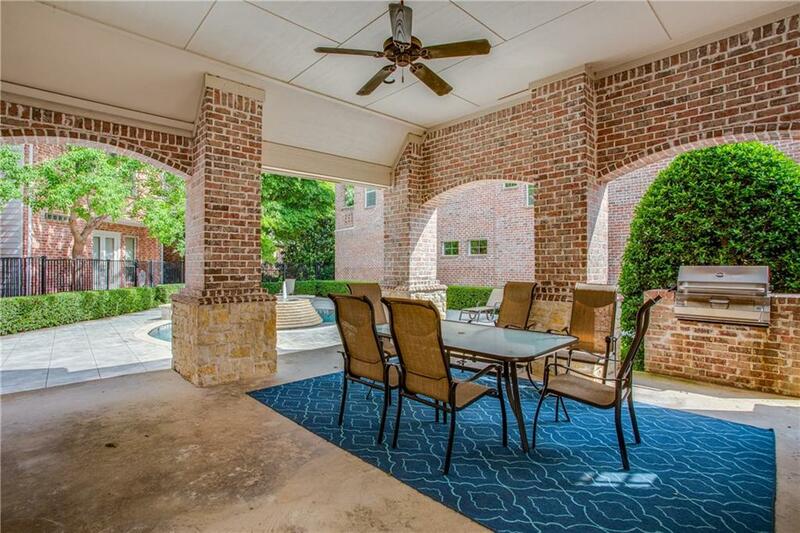 Amazing covered patio for outdoor entertaining, Direct access to pool. 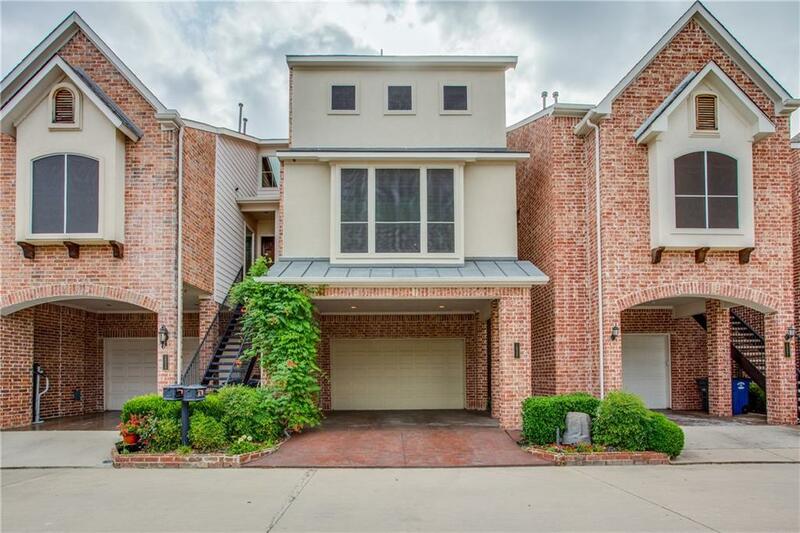 Roof replaced 2016. 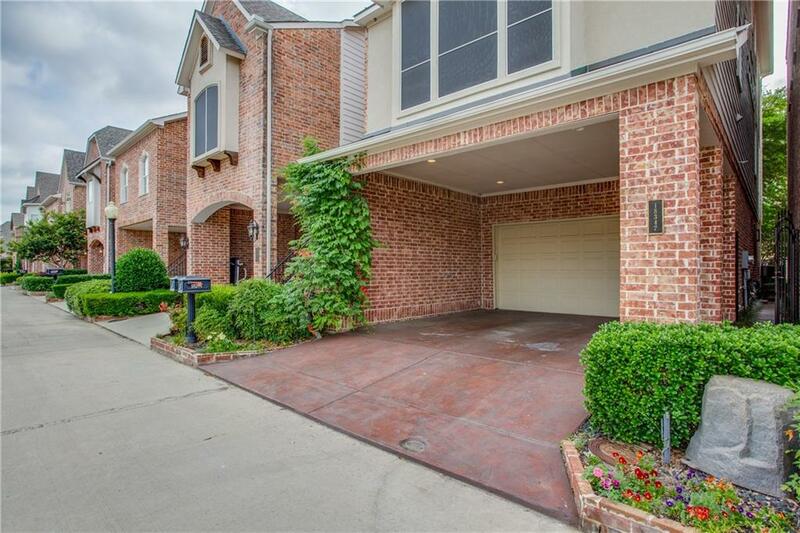 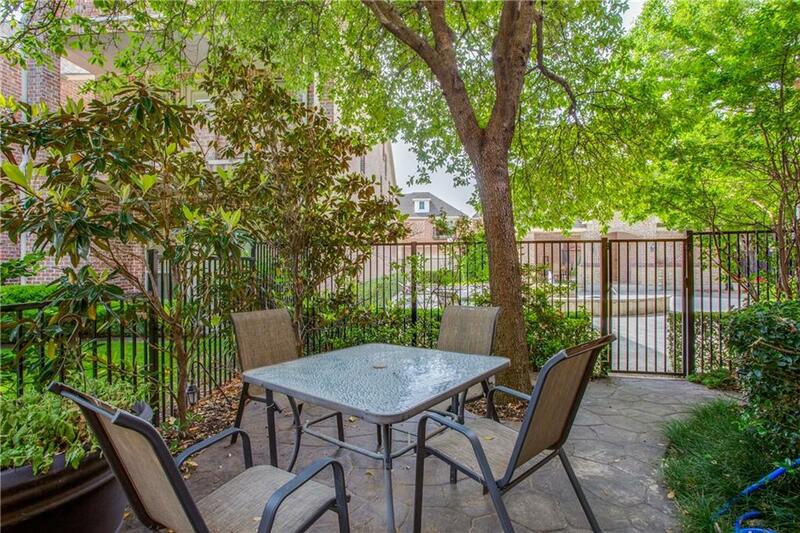 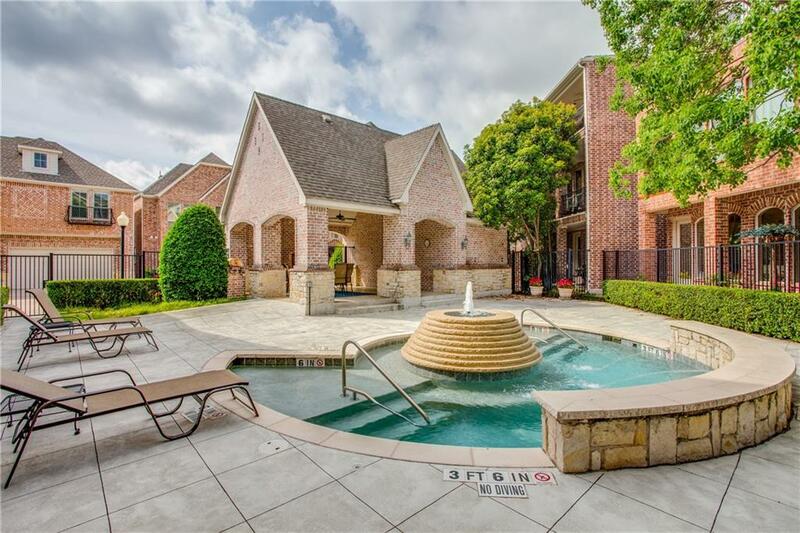 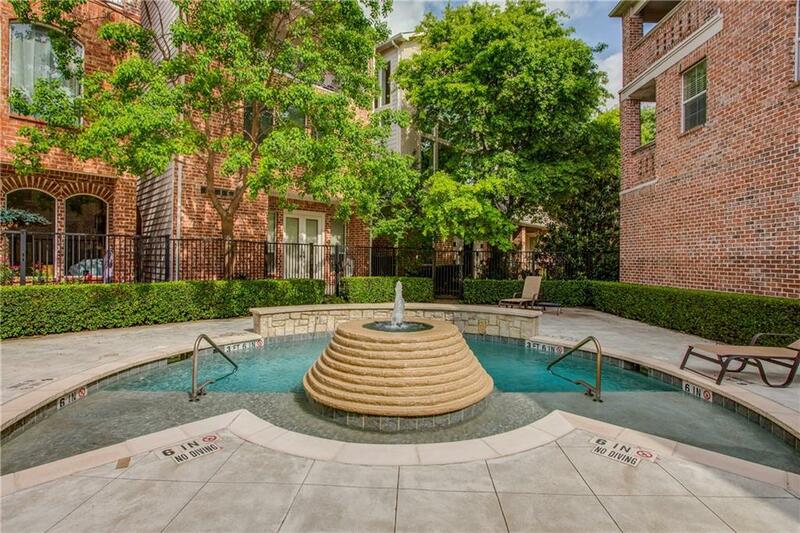 Convenient to GB Turnpike, DNT, Toyota & restaurants, shopping. 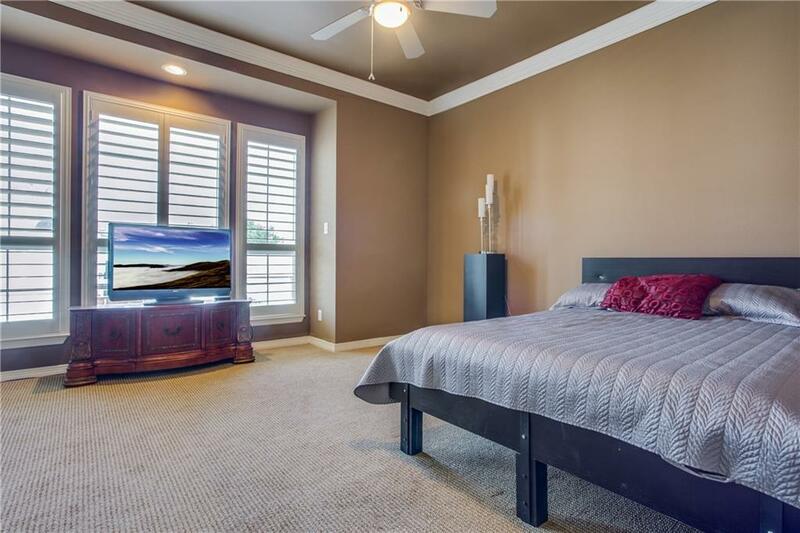 See our 3D tour for more detail.